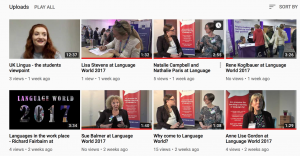 Did you know that the Association for Language Learning (ALL) has a Youtube channel? I didn’t until today when I attended the ALL Council meeting and discovered that not only did an ALL channel exist but that one of the first videos on it features me talking about sketchnoting! There are currently a number of playlists and numerous really interesting videos. Most of them are really short, getting the message cross succinctly which is always a bonus. One of the playlists is full of videos recorded at Language World 2017 that cover things like what ALL does, how it supports language teachers and learners through networking and CPD, why you’d want to attend Language World and why languages are beneficial in the workplace. One video I found particularly interesting – as a teacher and also as the parent of a child who’s just started studying German at university – is entitled UK LINGUA – the students viewpoint in students discuss the transition from learning languages at school to learning languages at university. I’ve embedded it below. I’d really encourage you to take a look at the channel, particularly if you’re not sure about what ALL does! You can find the channel here . Today is La Hora del Planeta when people are asked to consider their impact on our planet and, a s symbol of their willingness to look after our world, put out their lights from 8.30pm local time for an hour. I also liked the video below from WWF that explains the initiative in a more detail for older learners. There’s another video from El Huffington Post and also this article that looks at the impact of La Hora del Planeta. ¿Quién apagará las luces a las ocho y media esta tarde? A bit late for this year (El Día de la Madre was 4th May in Spain this year), admittedly, but nothing like planning ahead (May 3rd next year) 😉 And it’s always good to tell people we love them. I came across this lovely song via Pinterest today and thought it would be lovely for a Mothers Day assembly. It helpfully has the lyrics on the screen as well! And then I came across this one too. 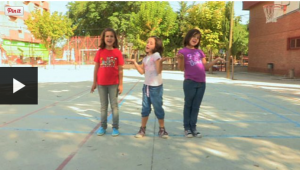 Poems, some written by Spanish children, for their Mums. This lovely video caught my eye. 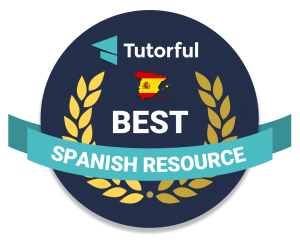 It explains (in clear Spanish) the story of the Reyes Magos (Wise Men / Kings) in the Bible as well as sharing how they are important in the celebration of Christmas in Spain. Although the video is simple, it is 7 minutes long so I wouldn’t necessarily play it in its entirety to my classes as they’d be overwhelmed I think, but I’d definitely play it in sections. 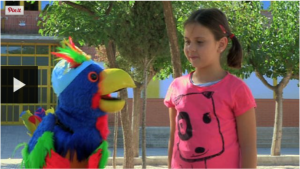 Another video that’s a bit long to play in one chunk is Dora la Exploradora Salva el Día de los Reyes Magos – but it’s great fun, and certainly worth using in chunks. Thanks to MFL Sunderland and Clare Seccombe for this lovely colouring activity featuring a stained glass window style image of the Reyes Magos. Crayola has a craft activity to make 3 stand up Wise Men whilst Kids’ Crafts have a template to make Three Kings paper chain dolls. And for the more adventurous, why not make cup and ball Reyes? Two years ago I posted a different Christmas carol in Spanish in the run up to Christmas – the 10th day was Fum Fum Fum and you can go back through the previous 9 days from there. 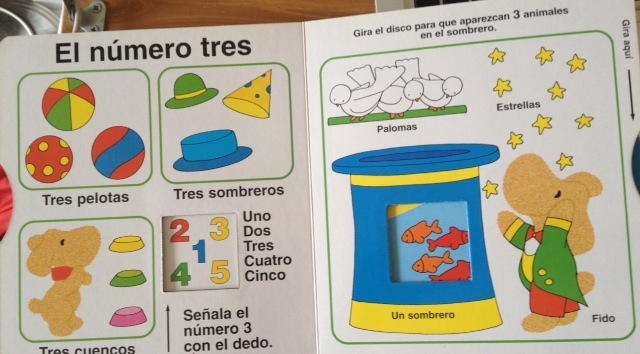 Following on from some ideas for Spanish books using colours, the books in this post look at numbers 1-10. 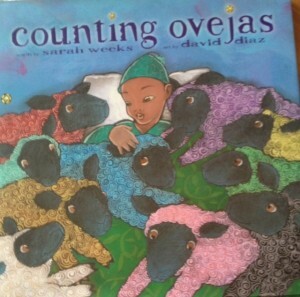 Counting ovejas (available on Amazon and Abebooks) is a book about a little boy who can’t get to sleep as there’s too much noise so he decides to count sheep. 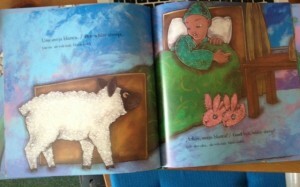 Except these sheep aren’t in his imagination! Una oveja blanca arrives in his room and he bids it ¡Adiós! , then dos ovejas amarillas walk in; he bids them ¡Adiós! as he pushes them out of the window. More and more sheep of varying colours arrive and the boy bids them ¡Adiós! in ever increasingly ingenious and elaborate ways. Does he ever get to sleep? you’ll have to read the book to find out! However it’s a lovely book for reading with young learners who will soon recall the colour of the sheep as well as the next number as you count the invading woolly creatures! It’s a great book for acting with masks too, perhaps for an assembly! 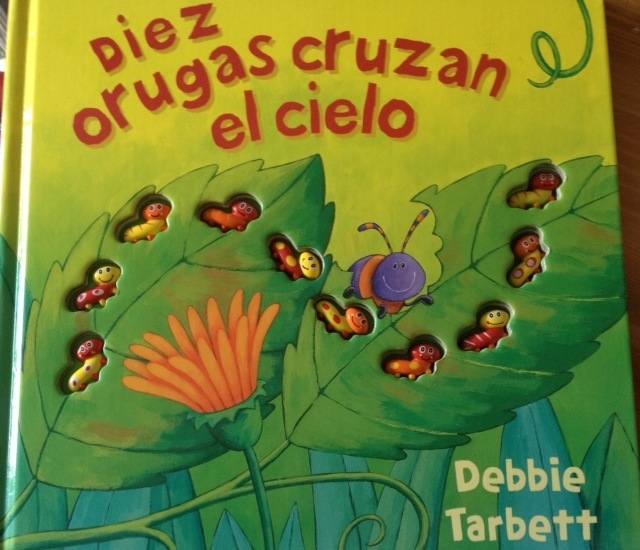 And although this post is about another (similar) book, the activities are equally valid! 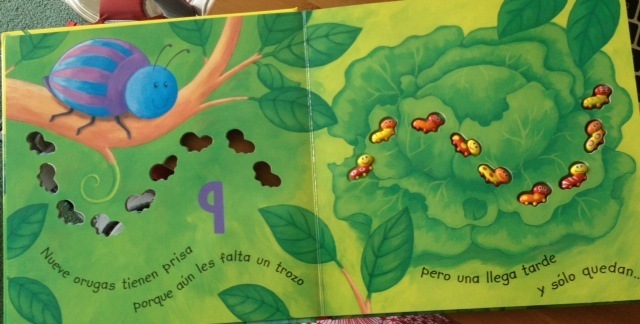 One caterpillar falls asleep, gets lost, or gets left behind on each page so the numbers decrease from diez to uno until there’s a big surprise on the last page. I like this as counting backwards is more tricky than forwards and adds variety to number work. 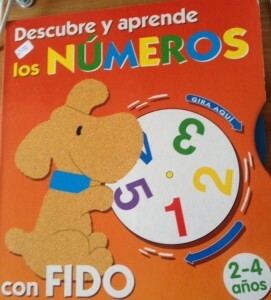 The final counting book for young learners is Descubre y aprende los números con Fido. 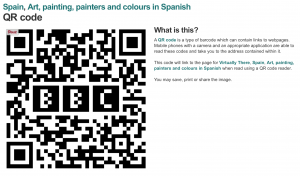 This book is similar to Descubre y aprende los colores con Fido and particularly good for small groups or individual reading, or for whole class using a visualiser. And as the numbers only go as far as 5, it’s particularly good for very young learners in Nursery/Kindergarten. 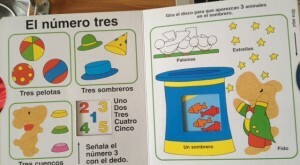 Each double page focuses on a different number and has bright images for counting, a panel of numbers for indicating the correct figure and a wheel for finding the correct image to fill the window. 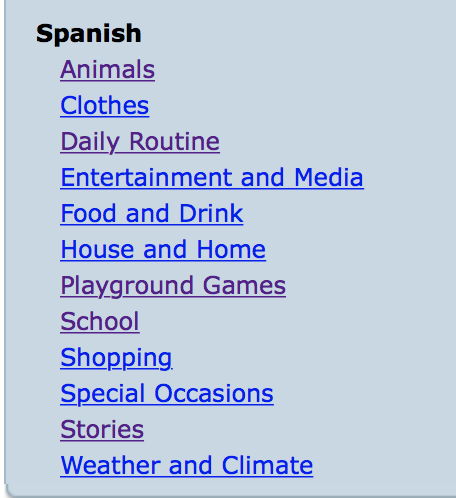 You could extend the activities by asking learners to find a certain number of items e.g. dos ovejas or tres vacas from the farm, or cuatro coches y un tren from the transport corner. Or count the number of steps to reach certain parts of the classroom/playground. 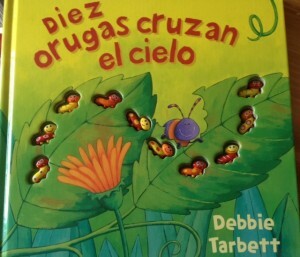 A fun book – I’m sure there are plenty of other similar books that could be used for similar activities. I’ll be back with some French ideas once I’ve found all my French books! I’ve blogged about César previously and linked to his Soundcloud – previously Cesar a Chinchila and now renamed Lalalingo. 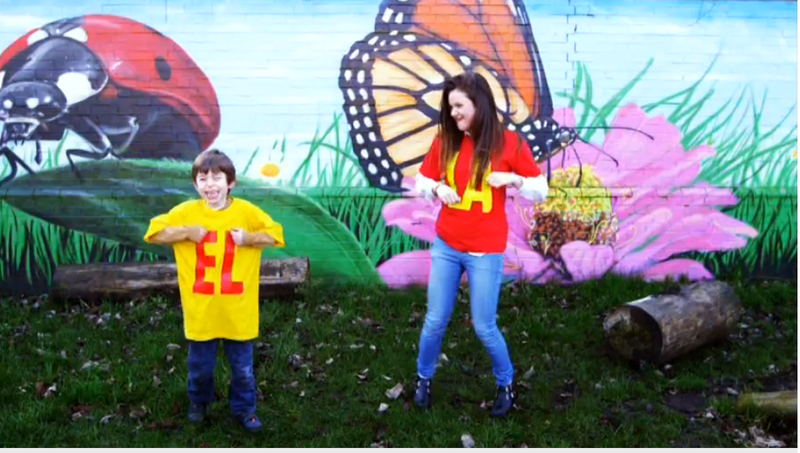 You can also check out the blog for videos songs and worksheets, or Like their Facebook page. 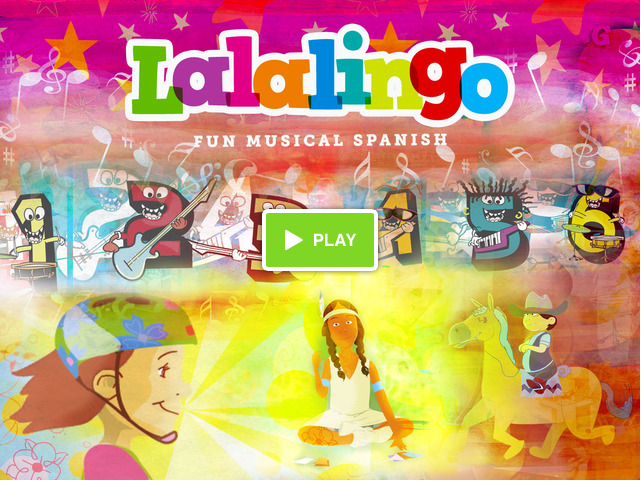 They also a Youtube channel singalingua Spanish and on Vimeo they are Lalalingo. If you want to support financially, that’s great. 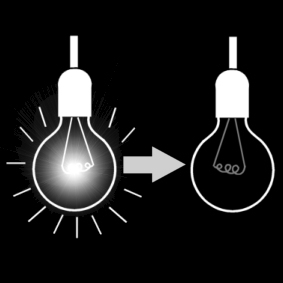 However, you can support in other ways by sending a message, sharing the idea or using the resources. 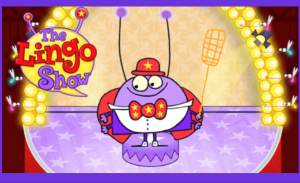 I’ve embedded one or two of the songs here to give you an idea of what Lalalingo looks like. 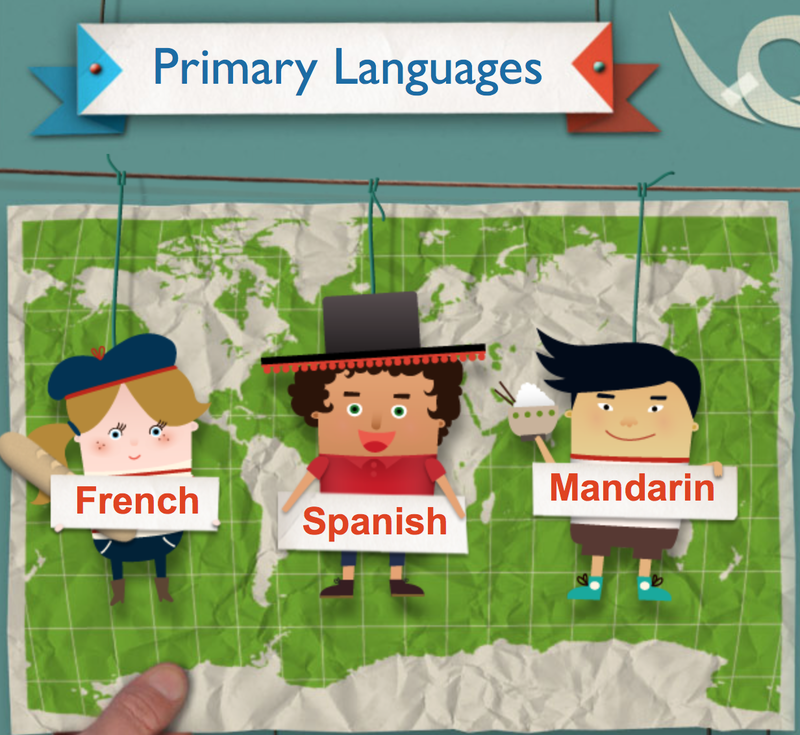 I rediscovered this as I was planning for ICT Links into Languages Conference aka ILILC3. It’s not too late to sign up and join in the fun! 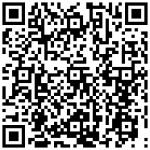 Scan the QR code below or go to the website. There’s the Show and Tell too if you can’t attend the conference and live in the area. I’ll be there and would love to meet you! EN INVIERNO, NO CALIENTA EL SOL. Y EL PAISAJE PIERDE SU COLOR. EN MARZO SE TIENE QUE IR. And finally, here’s a simple story about a sad snowman- El Muñeco de Nieve está triste. 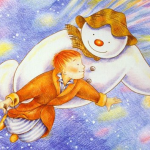 I also wrote a post back in 2008 about using The Snowman by Raymond Briggs using resources from HGFL. Finally, it reminded me of this post from way back about snow! Click Clack Muu, Vacas escritoras. 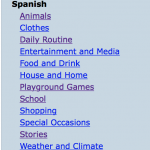 Thanks to @AliceAyel on Twitter for flagging up a great post on a blog called Teaching Spanish w/ Comprehensible Input by Cynthia Hitz. 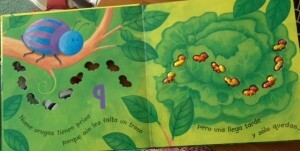 The post is entitled Using videos of children’s stories and lo and behold, there was my son’s favourite story as a child, playing to me in Spanish. Entitled Click Clack Muu, Vacas escritoras (Click Clack moo, Cows that type) the story is set on a farm where the cows get hold of a typewriter and start sending letters to Farmer Brown demanding electric blankets. And then the ducks get involved… Isaac is now 14 and can still recite it verbatim. And so can I! 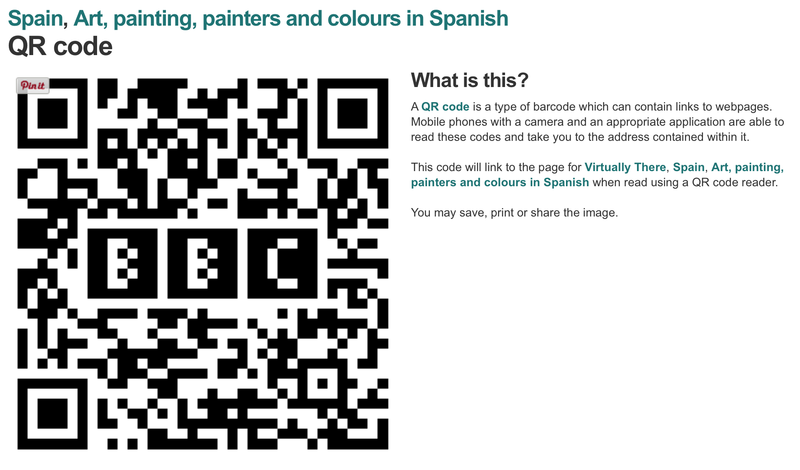 So it’s great to see this post with so many ideas of how you might use it in the classroom. If only I had a class with whom to share it. I found these Resources from PBS – they’re in English but there are some great ideas that could be translated into Spanish.